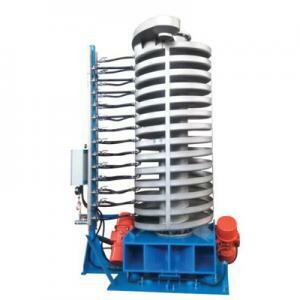 The dual-layer jacket design is added at the bottom of the disk of the spiralvibrating elevator, to strengthen coling and heat transfer by feeding coolingwater. The water jacket, which is punched and formed by the mould, canwithstand 4bar pressure but not be deformed. The composite hose with high performance can withstand the long-termvibration without cracks. The water inlet and water outlet distribution towers are controlled by theindependent ball valves so as to adjust the discharge capacities of everylayers. 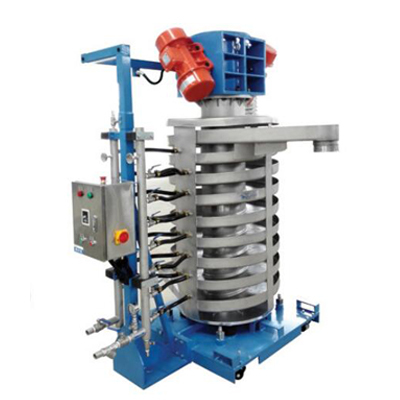 The water inlet is configured with the fiter with high precision of which thefiter precision is 0.5-1um, so as to efletively prevent impurities fromprecipitating and scaling in the jacket. The initial anti-condensation device can effectively prevent theequipments from dewing and dipping in the high humidity condition. Provide the cleaning maintenance to the jacket so as to ensure thecooling and heat transfer perlormance.